All inquiries will be taken into consideration for creating the wedding or event of your dreams. We are currently booking for 2019 and 2020. Provide us your date and location so we can check our availability. We recommend a brief consultation at the store so we can provide an accurate estimate for your floral needs. 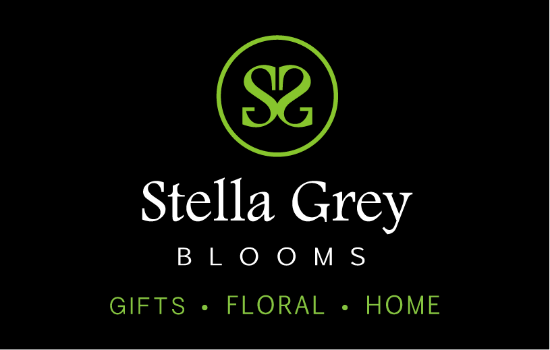 Stella Grey Blooms offers traditional to contemporary - to trend setting floral designs for your local event. We strategically approach weddings and celebrations with the overall vision in mind, have small minimums and can work with any budget. Owner, Sally Hayes Papedis, with a background in fashion and interior design turned her creative talents to floral design. Her attention to detail, color and balance (and sometimes off-balance) can be seen in what has been referred to as "floral art". Sally teamed up Nancy Konstantos, (a local drummer) with over 28 years of experience in the floral industry. They share the same creative vision in floral design - that sometimes you need to learn the rules to break them to create something truly unique.